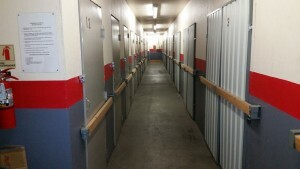 With storage at a premium in Clovis, Ponderosa Lock-Up rides to the rescue! At 812 Barstow Avenue, close to the center of Clovis, this locally owned self-storage facility offers secure indoor and outdoor-access storage units in the most popular sizes. Sizes range from 5X12 to 18X32 all with 9 ft ceilings. 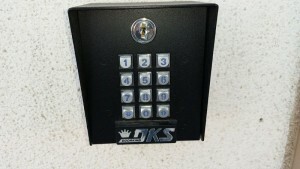 You lock it and keep the key! Ponderosa Lock-Up is clean and well lit. Easy access is provided for dollies and we are open 7 AM to 7PM, 7 days a week! The Lock-Up also has drive-up units with 24/7 access. Owner David Cloyd of Ponderosa Hearth and Home (right next door) bring the same courteous attention to your needs our stores customers have come to expect. The standard storage units have large wide doors for easy accessibility for your furniture or personal treasures. 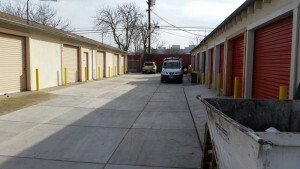 The larger spaces have roll-up doors or double wide openings. These features are aimed at giving you fewer osbtacles as you move in and out of your space. Ponderosa Lock-Up offers many discount levels for long term rentals to fit your pocketbook, as well as move-in specials. It’s easy to reserve your unit — just rent and pay on-line from our website. 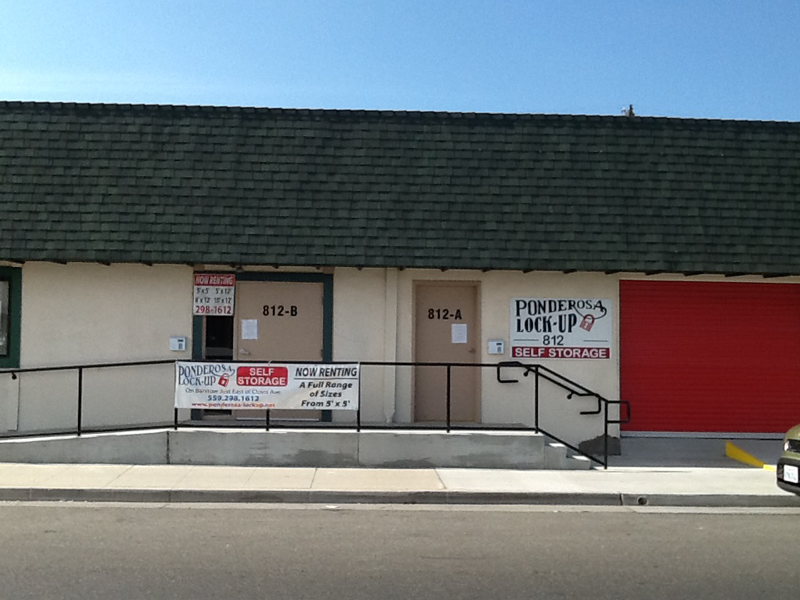 You can also call 559-298-1612 and ask for the Lock-Up specialist should you have any questions.